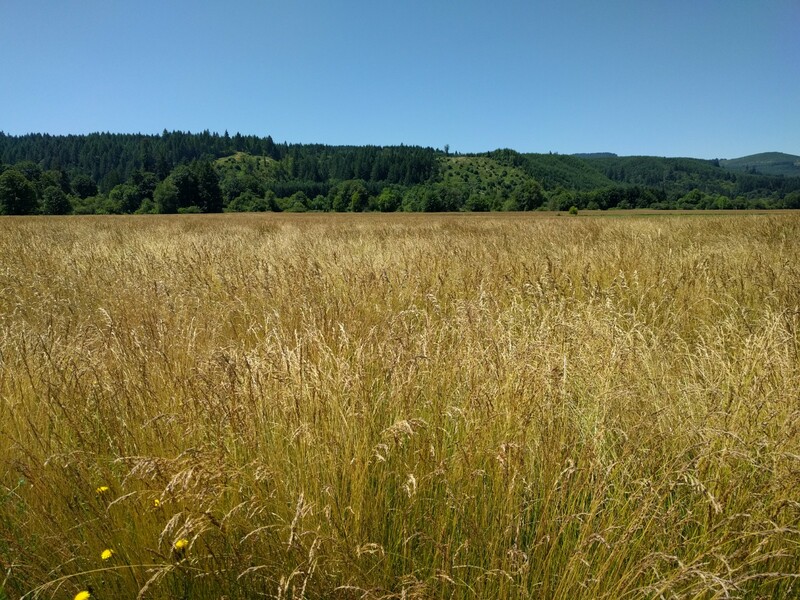 The Banks-Vernonia Bike Trail Annual Trip (and other thoughts on rural tourism and how not to lose elections) – .douchepacker. Four years ago I first took the Banks-Vernonia Trail with a big group of friends. This is a bikepacking trip and a pretty fun and easy one at that. I do it at least once per summer. Its a great trip that can be done in a day, but I believe is best done as an overnighter. You can either drive to the trailhead in Banks to start your trip, or as I prefer, take the MAX out to Hillsboro to the last stop. Then ride through the farms and fields all the way to Banks. Get supplies at the grocery store in Banks (liquor store is inside the grocery store btw). Then start the 21 mile trail which is easy because its on an old railbed. Vernonia also has a market to buy groceries, etc. Vernonia has a cannabis shop as well. As for camping, there are a few options. Stub Stewart State park is about halfway down the trail and there are bike-in sites available (but no water). They’re first come first served. Stub also has car campgrounds, with a lot of RV and car people. While I’ve camped at the bike-in sites twice, I prefer camping in Vernonia itself. It’s a delightful town with three campgrounds, two of which are right off the trail. The third is the airport campground at an old airfield, not too far of a jaunt off the trail. Home Brewed beer and Mediterranean food. The Blue House Cafe is amazing and a must visit! After you wake up the next day, get some breakfast in Vernonia and cruise the easy 21 miles back to Banks. Nice and simple. These towns have been dependent on farming and logging traditionally. Vernonia’s economy was especially dependent on logging. While not nearly as much logging is happening now, the Banks-Vernonia Trail provides another influx of cash, helping diversify the local economy. It may not seem like much, but I’m sure it adds up for businesses in town. We decided to take a break and eat out on this trip instead of bringing cooking gear and groceries. We spent around $50 for dinner and beers and around $25 for breakfast alone. Camping was $10. A doobie at the shop was $5 taxes included. At the breakfast spot, easily 60% of the patrons were cyclists. Had we chosen to buy groceries and booze, we would have done so at the market in Banks. If just goes to show how simple tourist infrastructure can reap serious returns over time. All they have to do is maintain and continue to promote the trail, and people will continue to use it. Its kind of a money pipeline, bringing in Portlanders and suburbanites to the countryside. It provides a real, viable source of cash for these communities. All to often in the city we denigrate the types of jobs and industries people in rural areas depend on, while not proposing nor supporting any economic alternative to take its place with logging being the perfect example. We mock their culture. Oregon counties that were most dependent on logging are now some of the poorest in the state to the point of not even having adequate emergency services. All too often we have disdain and an elitist attitude towards working class people and people from rural areas, an attitude that is largely undeserved. The mainstream Democrats are classist. Of course that has included myself and that irony isn’t lost on me. No wonder they don’t vote with us. In eight years we go from winning Columbia County by 12 points, to losing it by 11…. a 23 point swing!!! The Democrats offer nothing except for tired old lines and compromise with the worst of the GOP’s policies. If you wanna blame someone for Trump look right at your middle class, wealthy, moderate Republicans who turned out in much larger numbers for him and will lose nothing during his presidency. Don’t blame stereotypical tropes of working class, poor, rural white people in trailer parks, most of whom didn’t vote anyhow. Be extra sure to blame our own elitist party leadership for being so thoroughly out of touch of the needs of Americans to the point of losing what should have been the easiest election of all time. And then we work to build an inclusive party with real policy proposals to benefit everyone. I think the importance of rural tourist attractions like the Banks-Vernonia Trail runs deeper than just an influx of extra cash into the two towns. It’s also an opportunity to be with each other and enjoy each others company in a time where we’ve never been further apart and distrusting of our own neighbors and fellow citizens. Instead of isolating further along political lines, it’s important to interact with each other. I think its best to really support these local economies when we’re there. Eat lunch, gas up, buy some weed, get some groceries and booze. Make tourism actually benefit these communities. Check out the thrift store if you have time and whatever else piques your interest. Most importantly, be friendly and interact with people genuinely. Be yourself and relax. Their towns and nearby attractions are important to us as backpackers, bikepackers, etc, and the money we spend in their towns helps boost their economies as traditional ways of life (ranching/logging/mining etc) are dead or dying out. We’re all in this together and we must recognize and celebrate our interdependence on one another before it’s too late.